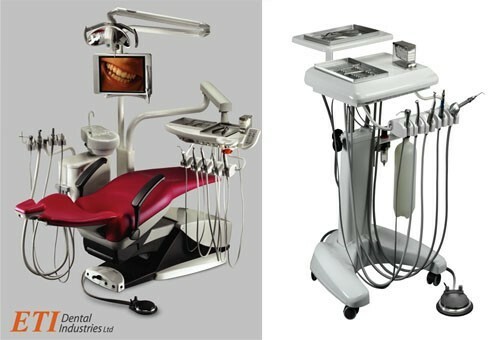 At E.T.I Dental industries, we offer the industry’s most innovative technologies and solutions which have been created to improve the performance, safety and comfort for both doctors and patients. Our patient chairs and whole clinic solutions have the outmost quality, reliability, and ergonomics in the market. Our focus the past decade was on improving equipment hygiene possibilities and increasing patient safety, we created an array of special components that allow the operator great possibility to remove and disinfect / sterilize most of the key components and insure significant reduction of the post therapy infections. e.g. removable portable porcelain tray. All of our equipment has classic and elegant design and manufactured by highest standards available in the market today. we provide a, we provide a 36 months manufactures warranty on all parts produce by us.